27 Calvary Christian (Fort Lauderdale) 4/15 @ 6 p.m. 4/18 @ 8 p.m.
29 Western High 4/16 @ 5 p.m. 4/18 @ 7 p.m.
30 Belen Jesuit 4/15 @ 3 p.m. 4/18 @ 4:30 p.m.
Another district where 3 Top 25 teams resides! #1 Cardinal Mooney takes on #4 Lakewood Ranch and #2 Riverview-Sarasota plays #2 Out-of-Door Academy. CM is the big favorite to win the District and the semifinal game vs Lakewood features a 2nd year program at the varsity level that has rapidly made their mark. Riverview defeated ODA 11-6 during the season, so they are favored, but ODA finished the season well so look for a close one in that game. The FHSAA site actually has the semifinals already played on Friday so I assume the Canterbury game scheduled for Tuesday is for the District title as #1 Canterbury defeated the host Friday. #2 Fort Myers vs #3 Riverdale was won by Riverdale in an upset. Fort Myers upset Canterbury early in the season so Canterbury won’t face that potential bugaboo. Canterbury takes on Riverdale for the title Tuesday. Gulf Coast ran the table and are heavily favored to win this district. They will face Golden Gate, who did not win a game and #2 Immokalee faces #3 Palmetto Ridge. Immokalee won the early season game at Palmetto Ridge so they are favored to get to the finals but Gulf Coast will prove too much this season. Not a good district this year. #1 Barron Collier plays #4 Lely and #2 Community School of Naples plays #3 Naples High. BC beat all three schools comfortably and Community School snuck by Naples by one goal at home. The neutral site might make the difference in the semifinals and that winner will not likely get by Barron in the finals. Viera, Cocoa Beach and Merritt Island all show 4-1 records on MP in the District. The 3 teams split the round robin and none of the games were blowouts. In that situation the #1 seed Viera gets a break as #2 Merritt Island and #3 Cocoa Beach slug it out in the first round. The only sure thing is that Edgewood is the 4th seed. #1 Melbourne Central Catholic vs #4 West Shore and #2 Sebastian River vs Holy Trinity. No reason to think this is anything more than a tune up for MCC. #1 St. Edward’s vs #4 Pine School and #2 Martin County vs #3 Vero Beach. Remember when this used to be one of the best Districts in the state? Lately it’s been St. Edward’s and the rest and that will hold true this year too. Pine School is a great story this year and it looks like Vero has finally started to rebuild a little. But St. Edward’s is the big favorite in this district. The BDDFIF . . . but possibly not this year. Host #1 Benjamin will take on #4 Jupiter Christian and #2 Jupiter faces #3 Dwyer. Benjamin defeated Jupiter at home 12-10 during the season but the injury to Michael Lobosco really makes repeating that task difficult. Jupiter Christian was a nice story this year too and we’ll follow their growth next season to see if it has staying power. Neither Benjamin nor Jupiter should have much problem in the semifinals so we will again get their usual intense district final again. #1 Oxbridge vs #4 Wellington and #2 King’s Academy vs. Palm Beach Central. Oxbridge is the prohibitive favorite, having handled King’s in the regular season easily. Let’s see how much of that gap can be closed in the final when they meet. Bill Allen’s Palm Beach Central quietly had a very good season but has to face a Top 25 team in the semifinals. #1 Saint Andrew’s vs #4 American Heritage-Boca and #2 Boca Raton vs #3 Saint John Paul II in the semifinals . . . seems like that’s been the pattern for a while, with #2/#3 being swapped at times. Pretty much this district is summed up by SA waiting for the BR/SJP slugfest winner, and cleaning up. SJP II did give SA a good run in their regular season game but will need to raise their game even more to challenge for the title, assuming they get there, as Boca won that regular season game. That semifinal matchup is usually worth the price of admission by itself. The move from Stoneman Douglas might well make a difference in how this one pays out. #1 Pine Crest plays #4 Cardinal Gibbons and #2 Calvary Christian faces #3 Stoneman. Calvary is one of the better stories in the state this year and Pine Crest just keeps finding a way to win games. The Calvary/Stoneman rematch of the regular season should be a barnburner and Pine Crest will be waiting for the winner. Any of the 3 teams can win this one as all 3 games between them were tight. Another great potential district final. #1 St. Thomas vs #4 South Plantation and #2 American Heritage-Plantation vs #3 University. Neither semifinal will show a surprise. 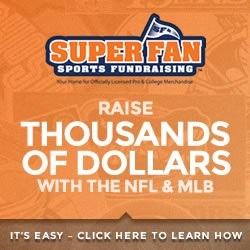 In the regular season AH-P lost at STA 11-7 and this will be on a neutral site. Can AH-P completely narrow that gap? We’ll see on Thursday night. Western and the rest. MP does not show the pairings but it will be #1 Western versus #4 Cooper City and #2 West Broward, a team with a great record but a weak schedule, will face #3 Archbishop McCarthy. This district will be about the #2 seed’s semifinal game since that will be the only potentially good game, as Western easily advances. This is now today and surprising Columbus holds the #1 seed and will face #4 Miami Country Day, which had a nice season too. #2 Belen and #3 Ransom Everglades will be interesting but Belen handled them easily early in the year. If Columbus continues their late season surge they will be coming out of this district and will make an interesting matchup for Western. During the Preseason Previews I called this Gulliver and the Lilliputians and that hasn’t changed. They will face Kilian in the semifinals opposite #2 Palmetto vs #3 Coral Reef. Palmetto hammered Coral Reef twice in the regular season and there’s no reason to think that Palmetto doesn’t move on to be the sacrificial lamb. Hmmm, can I write off a trip to Key West next season if I get to cover two games? This looks like Coral Shores was able to get the #1 seed and face #4 Florida Christian while #2 Key West faces #3 Westminster Christian. The first game between KW and WC ended with a big WC win so look out for that one. And WC took Coral Shores to OT in the regular season loss, so it’s fair to say this district is wide open and all 3 of the top seeds can win it. 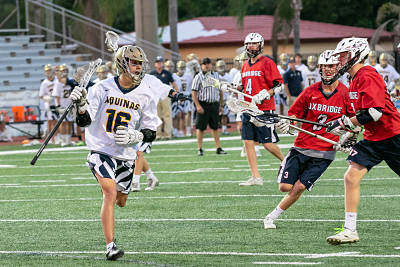 NextTriple Crown Lacrosse Weekly FLN Media Poll for the Week Ending 4/14/2019 – Ponte Vedra is #1!